Located on the south-east coast of Cyprus, opposite the island at the world famous Nissi-Beach in Ayia Napa, Nissi Bay Beach Bar welcomes everyone to a small paradise, where all believe in partying all day long with the hot new sounds of top DJs on the most ‘eventful’ beach in the Mediterranean sea! 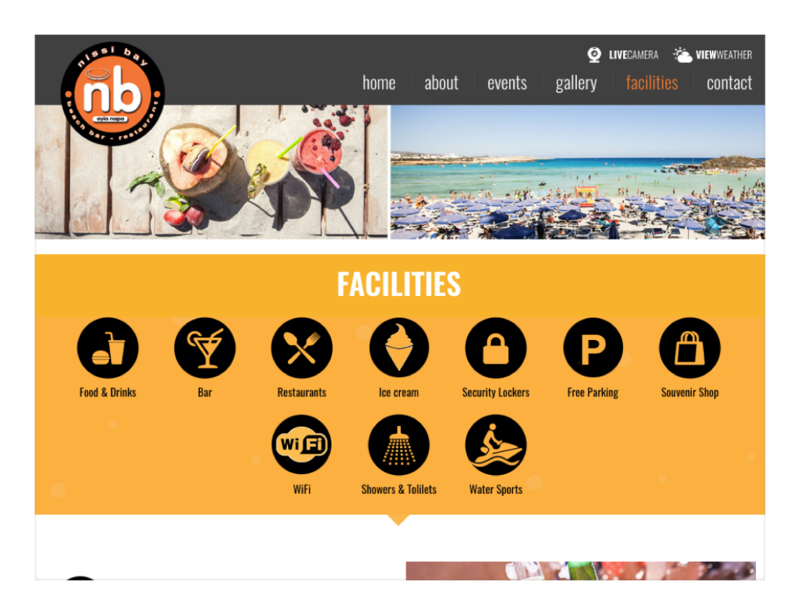 This is the 2nd consecutive time that Nissi Bay Beach Bar & Restaurant entrusts Web Theoria with the design & development of their website. This project was a major challenge for one simple reason: Nissi Bay Beach Bar & Restaurant is the most famous beach bar on the island and one of the most famous on the planet! The beach bar & its website receive thousands of visitors throughout each season. We had to think out of the box for this one, especially in regards to the layout, functionality & content distribution within the website. Further to the website, Web Theoria & Nissi Bay Beach Bar & Restaurant have collaborated on other aspects as well, including branding, online as well as offline marketing campaigns. We feel honoured having Nissi Bay’s preference & wish all the best for an endless party on the Nissi Bay beach!